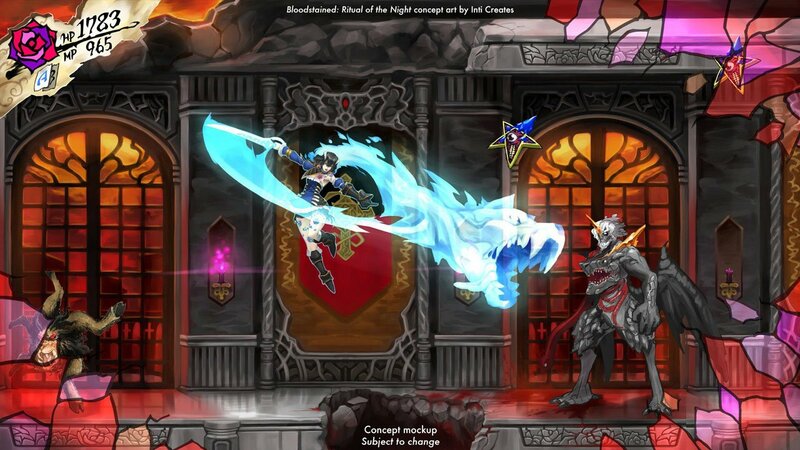 Iga was at Xbox’s E3 booth, showing off his crowdfunded spiritual sequel to the Castlevania series, Bloodstained: Ritual of the Night, when I spoke with him. I’m happy to report it looks like this is the Castlevania game we have been waiting for in everything but name. It has all the things you’d expect to find: great music, a gothic aesthetic, ghoulish enemies, and massive bosses. Practically everything is here, right down to candles that can be broken to reveal items. Playing as presumed heroine Miriam, I made my way through a sprawling pirate ship, filled with various monsters. These included a spooky lion head with what appeared to be deer hooves protruding from it. As I made my way through the demo, I found a sword and some kung fu shoes, each granting different attacks and stats when equipped. Killing certain enemies also gave me crystals, which granted abilities like being able to blow fire. This worked as both a weapon and a way to light cannons found throughout the ship that blew holes in walls, opening the way to new areas. The fire also makes certain enemies boil up and explode in a satisfying pop instead of having their typical death animations. 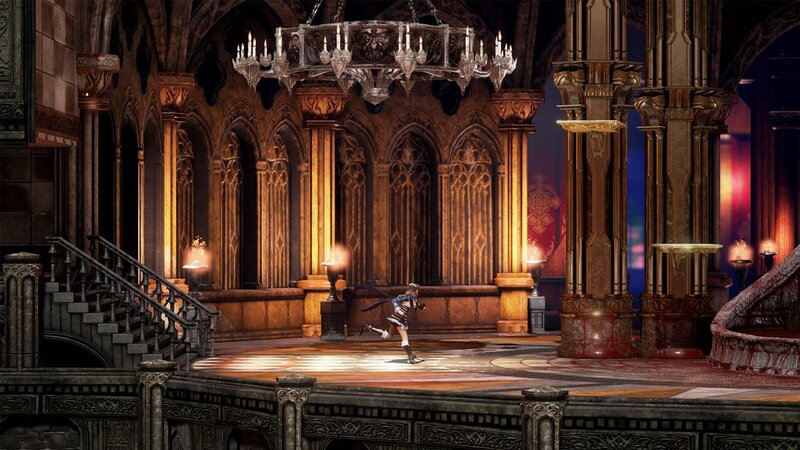 The platforming and combat feel on par with what one would find in Symphony of the Night. At the end of the demo, I faced a giant, Kraken-like demon whose top half was a woman, whose stomach was a monstrous mouth, and whose tentacles tried to force me into said mouth. If this demo is anything to go by, speed-runners have something to look forward to. During this boss battle I figured out a way to exploit the system to allow me to slice my sword twice in a row, a bit faster than normal. The boss wasn’t exactly challenging, but she certainly was horrifying, and forced me to use all the mechanics the game had taught me up to that point. 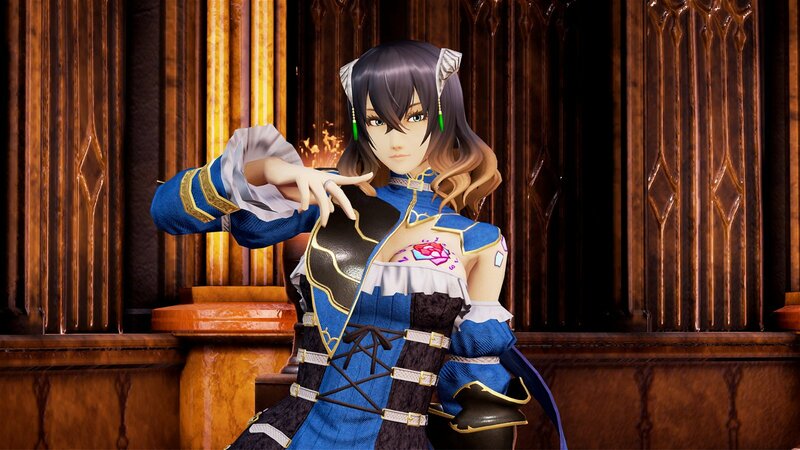 I’ve been excited for Bloodstained since its announcement. After getting my hands on it, I’m at a fever pitch. This game has been made with love and care, which was especially apparent as Igarashi was excitedly watching people play his game for the first time, smiling with glee. He has every reason to smile, as he has a hit on his hands when the game releases sometime next year.